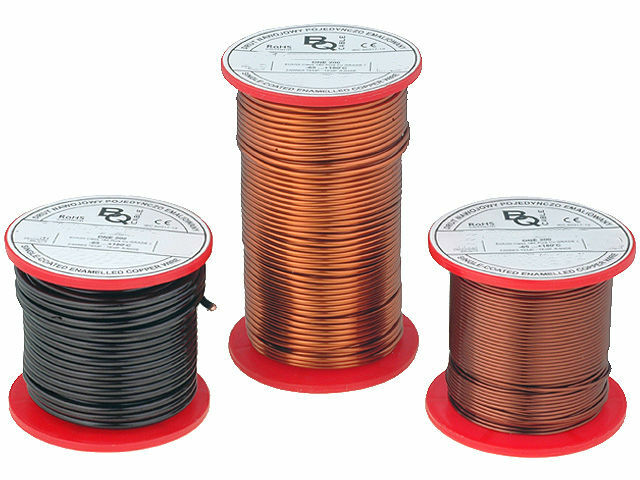 Single coated enamelled DN1E and double coated enamelled DN2E coil wires from BQ CABLE are 200°C class wires that come in 20 most common diameters: from 0.15 mm (AWG38) to 2.00 mm (AWG14). The wires are coiled in an even and consistent way, and additionally put in a heat shrink sleeve for perfect visual effect, as well as protection against any impurities accumulating during storage, and oxidizing of the insulation sheath. In case of DN1E wires, a single-layer insulation sheath from polyesteramide and polyamidimid is used, whereas for DN2E wires a double-layer insulation sheath, also from polyesteramide and polyamidimid is used. The wires in our offer are IEC 60317-13 and RoHS compliant, and classified as EI/AIW Class 200 Grade 2. They can be used for professional windings in applications with huge overloads or in case of extreme conditions.